If you own or are thinking of purchasing an electric car, I’m sure you’re aware of the need to also buy EVSE (Electric Vehicle Service Equipment). 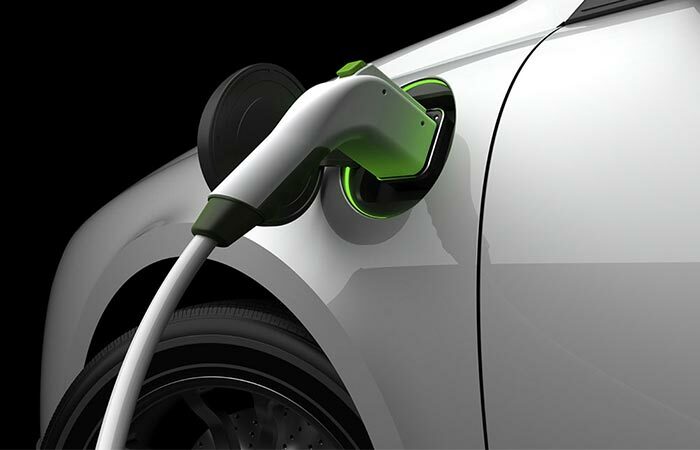 An EVSE is simply, a piece of equipment which will allow you to connect your car to a high powered volt energy source so that it can charge. Typically ranging anywhere from between 300 to 500 dollars, with some coming in at a lower cost or considerably higher depending on whether the unit has additional capabilities. The purchase of one of these units is something that shouldn’t be taken lightly, however with that said, it’s also a fairly simple purchase decision if you pay attention to what you should look for when buying an EVSE. 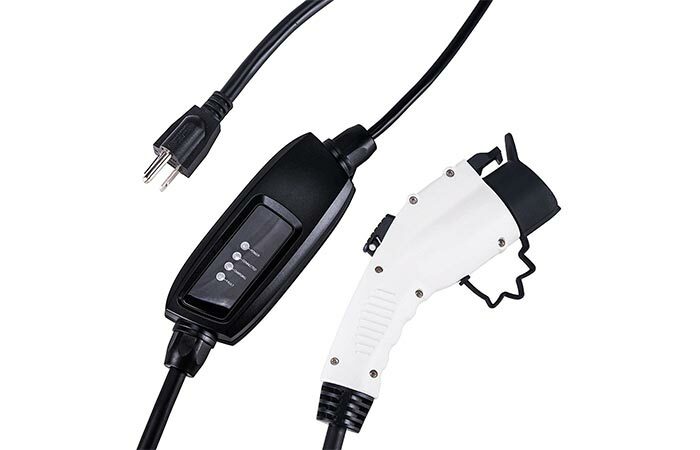 Have no fear if this is the first time you’re looking at electric car chargers or if you just need a little more guidance with making your selection, we’ll simplify the process and make some suggestions for the best electric car chargers on the market. For a brief look into two of the more well known brands of electric car chargers, take a look below. Positioning themselves as a reliable and powerful brand, Clipper Creek is an industry leader in providing quality products at comparable prices. They have over 23 years of experience in the industry and have proven that their innovation throughout the years has lead to the creation of reliable and trusted products. The largest network for electric car chargers today. ChargePoint prides themselves on offering solutions for home and businesses so that they can add to the experience of your daily ride all while making it more energy efficient. ChargePoint also runs an extremely informative and easy to navigate website where you have access to many tools, all free! There are a few key areas you should be looking into when selecting your EVSE. In order of importance of the considerations to make before purchase, we suggest looking at the following: Isolating your Budget, looking for a charger that has a high Amperage, is Portable and is Compatible. You may want to also ask yourself whether Internet Connectivity in your device is an important feature to have. As we mentioned in the introduction, the cost of an electric car charger is going to set you back at least a couple hundred dollars if not double or triple. It’s important to keep in mind that in almost all cases, the cost of the charger will not include installation. Everywhere you go, you’ll find that you’ll most likely be recommended to invest in an EVSE with at least an amperage of 30; this is so that if you end up upgrading your electric car, you won’t have to upgrade the EVSE later. The decision to go with a higher amperage EVSE will save you hassle and money down the road. 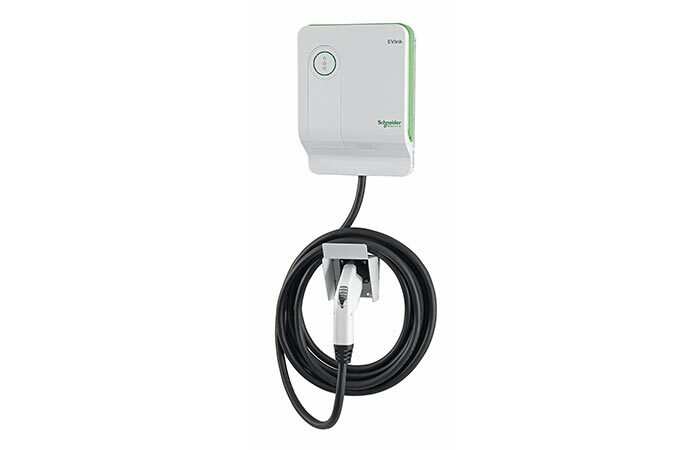 Note: A 30 amp EVSE will need to be on a circuit breaker of 40 Amp at minimum. It may seem like common sense but when figuring out a location to place your EVSE, make sure that wherever you place it, it will be in an area that is easily accessible to run the charging cord. 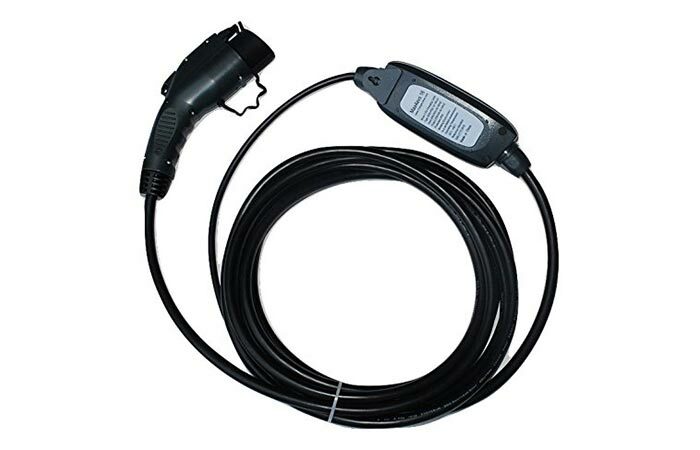 Also, keep in mind the length of the cable and the distance your vehicle will be from the charging station; again this seems obvious but it’s always better to measure the distance from where you plan to install the EVSE to where your car will be positioned. If there is a possibility that you may be moving in the very near future, we would suggest that rather than doing a hardwire installation of the EVSE, install a NEMA instead. This type of installation will allow you to simply plug in your EVSE and then when you want to move it, easily detach it to take it with you. 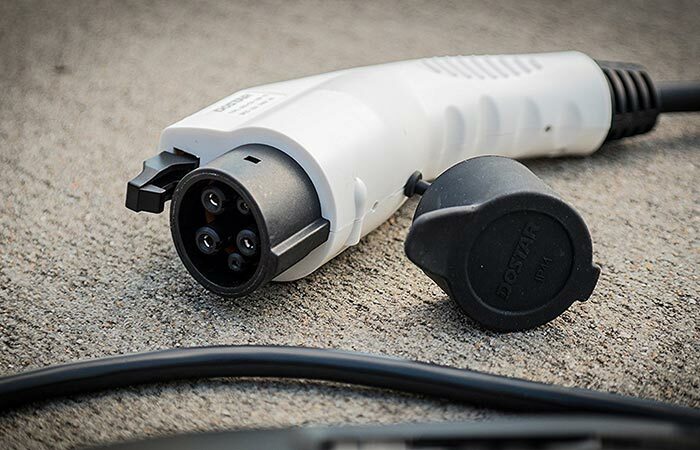 Plain and simple, read up on the product you plan to buy; before purchasing, be 100% sure that the EVSE you plan to buy is compatible with your EV and if not, ensure that you have the proper adapters. The EVSEs we have featured in our list are compatible with all makes and models of EVs. Everything is always better if its able to connect to wifi right? Well, we wouldn’t say that’s always the case with electric car chargers. From what trusted consumers say, it’s best to go with a good ol EVSE that performs the function it’s meant for, any others features such as connectivity to wifi adds additional complication and an increased cost to the device . If you are requiring certain pieces of information such as energy consumption, or features such as reminder set ups or automatic updates, we recommend purchasing add ones that can be attached to your EVSE rather than buying an EVSE with them integrated. If you’re looking for the best electric chargers according to reviews from consumers of the actual products, you’ve come to the right place. Take a look below for a list of the best, under and over 300 dollars. In the list below we will make reference to Level 1 and Level 2 chargers, for a detailed explanation on the differences take a look HERE. A solid bang for your buck, this Orion Motor Tech Level 1 charger is well constructed and functions without faults, according to satisfied consumers. According to reviewers, the Duosida is a must have for its extreme functionality cost effectiveness. The long cord and portable capabilities of the charger make it a great choice for your charging needs. Additional: Requires dedicated 20 Amp circuit, needs to be plugged into a 6-20 socket, 3 x faster charging than level 1 chargers. Praised for its make and design, Chargers Forever has constructed the Mazz 16 to deliver a solid performance. Rapid charging times, greater than the manufacturers claim, have been noted by many owners of this charger. Additional: Requires 20 Amp circuit, charges anywhere from 4-7 hours depending on the EV. This charger by Duosida is one that users are continuously commenting on as exceeding their expectations. 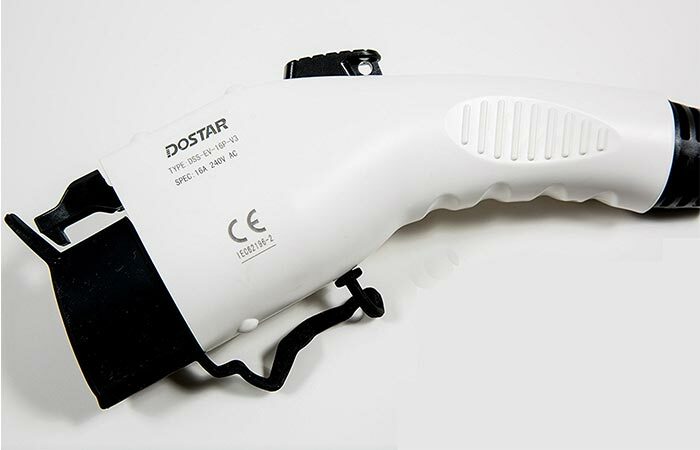 Many note this charger by Dostar as being compact and economical and the various monitor LEDs are an added plus that users find handy. Design: Waterproof, leakage and overcurrent protection. 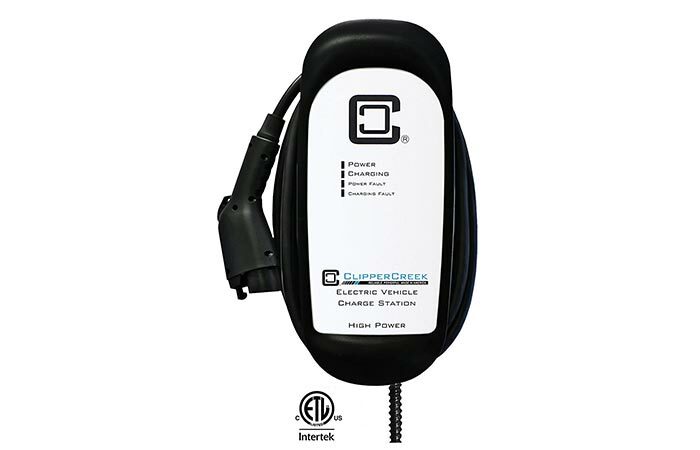 Easy installation, flawless performance and durability to last a lifetime are only a few of the ways users of this ClipperCreek describe their charger. High quality at a great price. 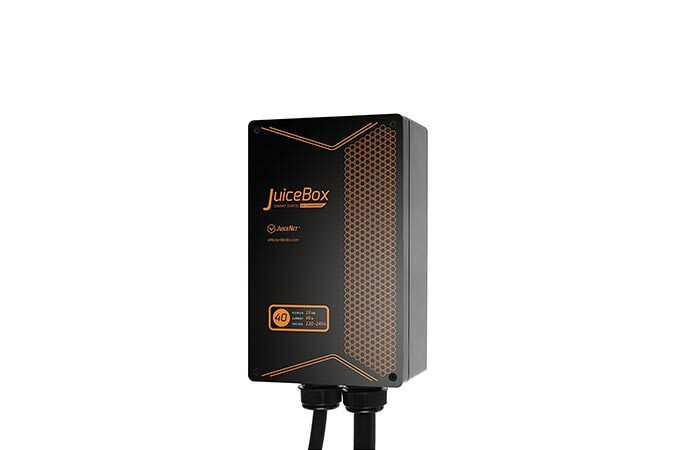 There’s no bells and whistles on this JuiceBox charger however, everything it does have it performs well on as per manufacturers specifications. 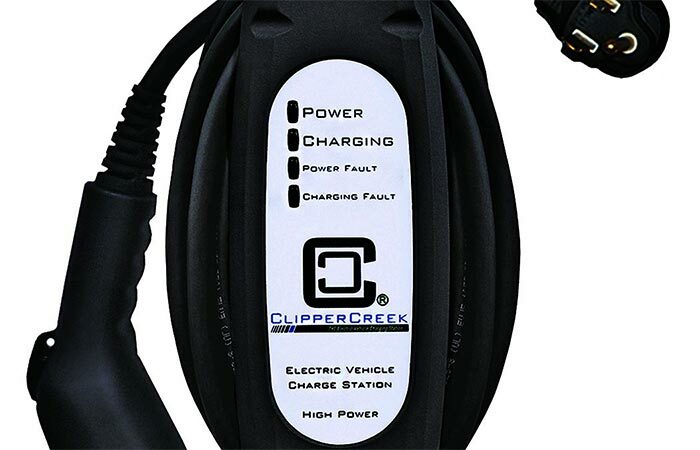 For a charger that is designed to survive abuse and built ‘American tough’ look no further than the ClipperCreek HCS-40. Manufactured by AeroVironment, the Nissan Leaf charging station has been described as having a rock solid construction. Charging speeds up to 5 x faster than competitiors, ensure that you’ll never be left without power when using this bad boy. 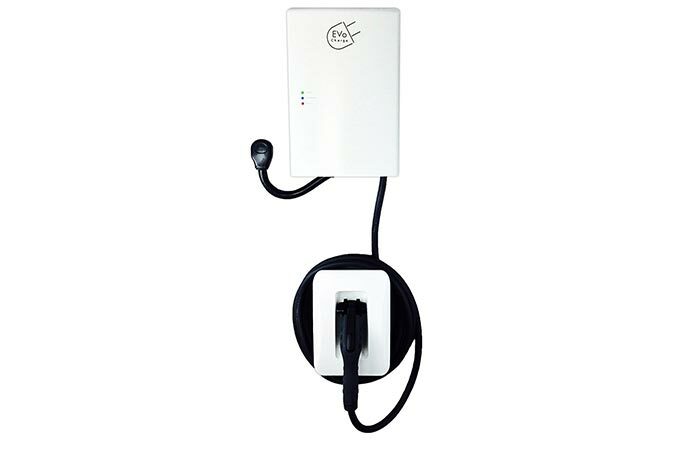 Can electric vehicle chargers be aesthetically pleasing as well as function? With the Generation 2.5 from Schneider Electric, hanging in your garage, you won’t be adding an eyesore that’s for sure. Customize your charger but adding one of the 600 custom design skins to make your unit unique to your space. An all around great charger; the EVoCharge puts up a tough fight when it comes to fast charging. At a charging speed of up to 8x faster than than average, this charger packs a punch. Many users have commented that the outlet cord is quite short which is why if purchasing the EVoCharge, you may want to consider buying an extension. 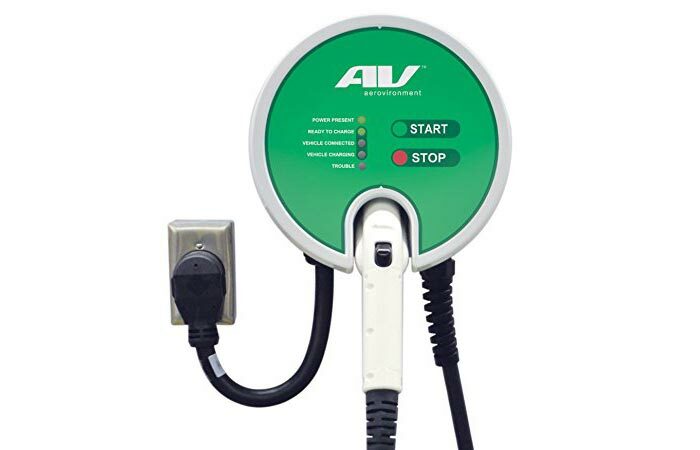 Some comment that the AeroVironment EV charger is a bit on the large side however the incredibly fast charging capabilities of this unit overrides any negatives of its size. 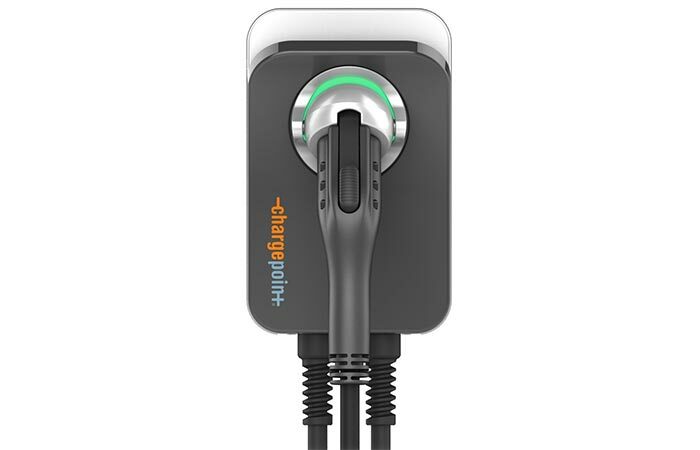 Users love the ChargePoint 32 Amp, commenting on how its design combines look and function so well. 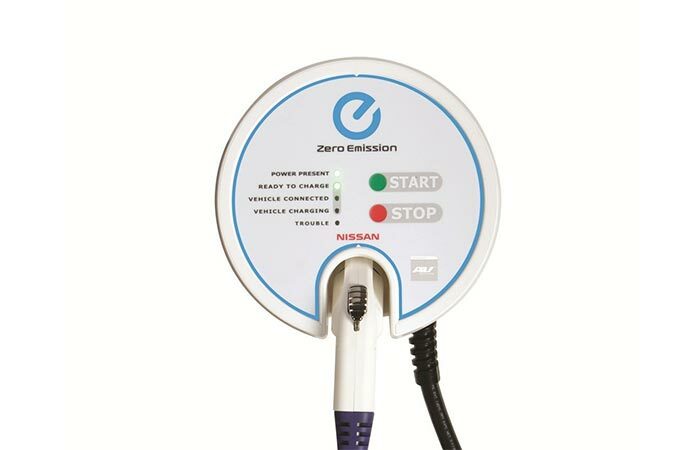 The extra features such as it being wifi enabled, presence of status lights and able to link with apps which allow you to track charging history all make this unit one of the top electric vehicle chargers on the market. Design: Ultra thin design, great for indoor or outdoor installation, integrated with Nest (track your usage and save energy costs). Plus, the integrated design works to detect your energy provider and suggests the best times for you to charge. Choosing an EVSE for your electric vehicle doesn’t have to be a hassle. If you stick to our list of considerations before buying and make sure that whichever piece of equipment you buy, it is able to hold up and offer guaranteed durability, then we are sure you’ll be satisfied with your purchase decision. Before or bring your EV home, ensure that you’ve had your EVSE properly installed by a trained technician and keep in mind during installation, the position of the unit to make sure it is easily accessible no matter where you park your car. Overall, the best car charger under 300 dollars that we’d recommend would be the 2nd in our list, the Duosida. At a price point of $239.95, this level 2 charger has insane electrical performance for its price point. The Duosida is also portable which means you can easily move it around. The best electric car charger over 300 dollars comes down to a tie between the EVoCharge (#11) and the ChargePoint 32Amp (#13) Both have similar electric performance, compatibility and additional features which make them great all around chargers that get the job done and then some. The best thing about purchasing either the EVO or the ChargePoint 32Amp is that you have the option to install them as portable fixtures or hardwired, allowing you to select the best installation for you. To close, remember that when you are selecting an electric car charger, simplify the process by making your purchase based on technical need and specification. If you make your selection on these two bases as well as durability, we are confident you will walk away with a product that will more than serve your needs.